Plot: On a seaside holiday, pretty Bristol typist Shirley meets Dan Mackenzie from her local paper. 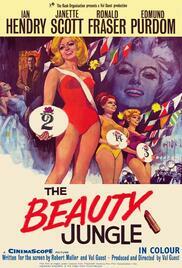 He persuades her that she has what it takes in the world of beauty contests, and so it proves. Ditching her predictable fiancé and having to leave home, Shirley moves to London to continuing success.